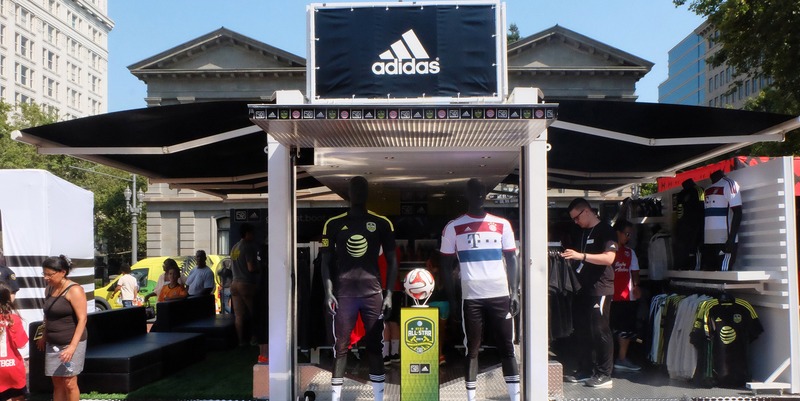 Portland, Oregon, is a city rich with Soccer history and pride. 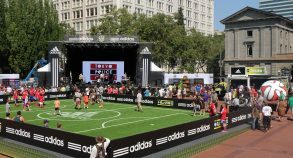 Pioneer Square serves as the soccer hub of the city on Sundays, where fans unite to celebrate their favorite club the Timbers! 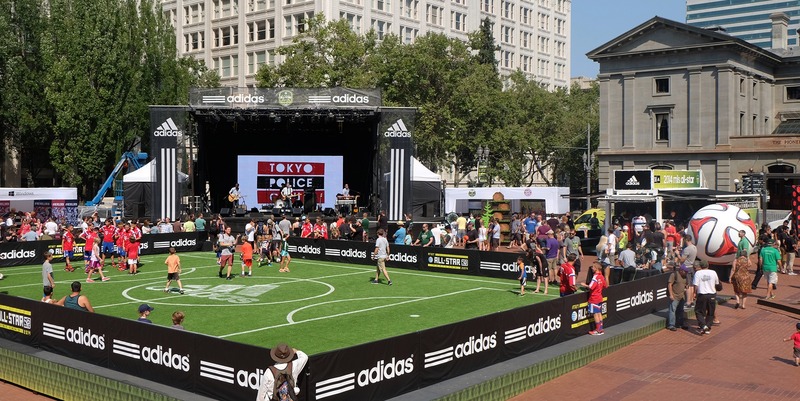 Soccer fans from around the world visited Portland for both the World Cup & MLS All Star festivities that were held at Pioneer Square, sponsored by Adidas. 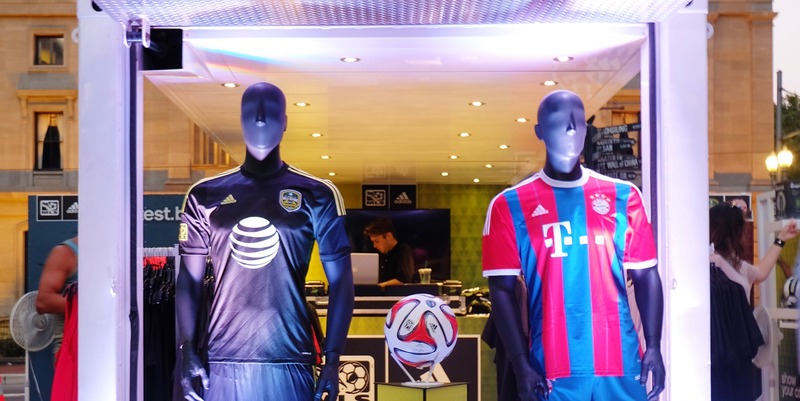 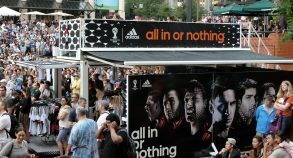 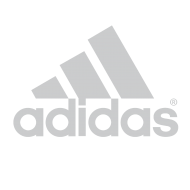 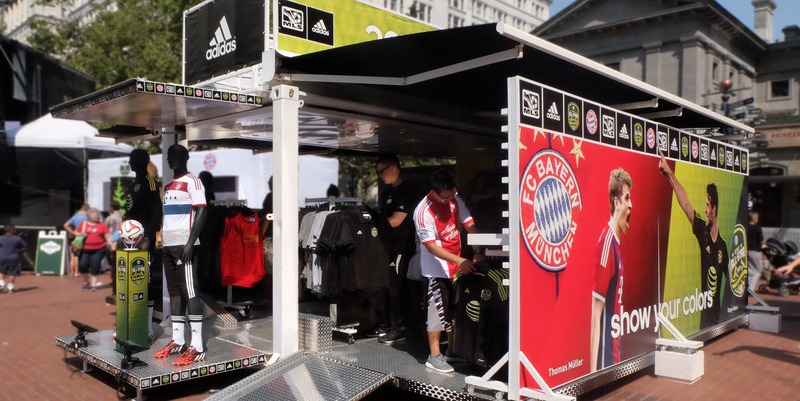 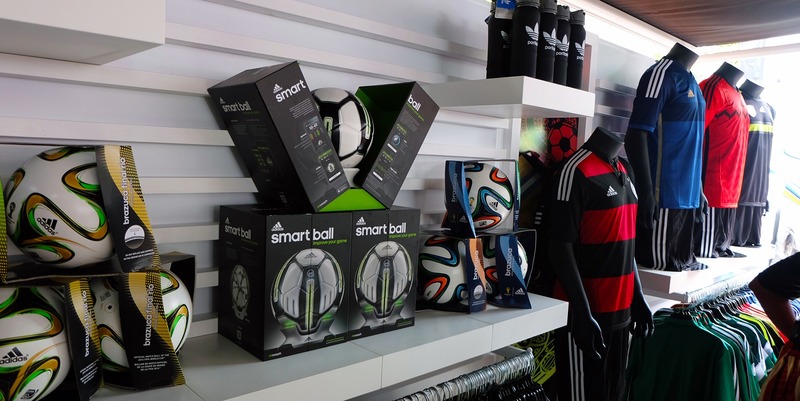 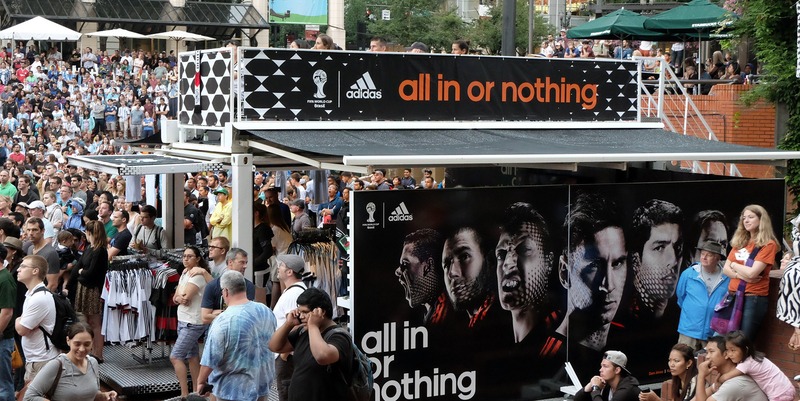 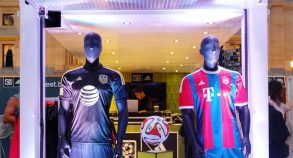 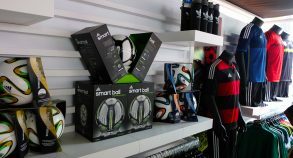 The SS20 mobile retail space featured exclusive Adidas head wear, apparel and hard goods and one of the main shopping destinations for World Cup gear and MLS in Portland. 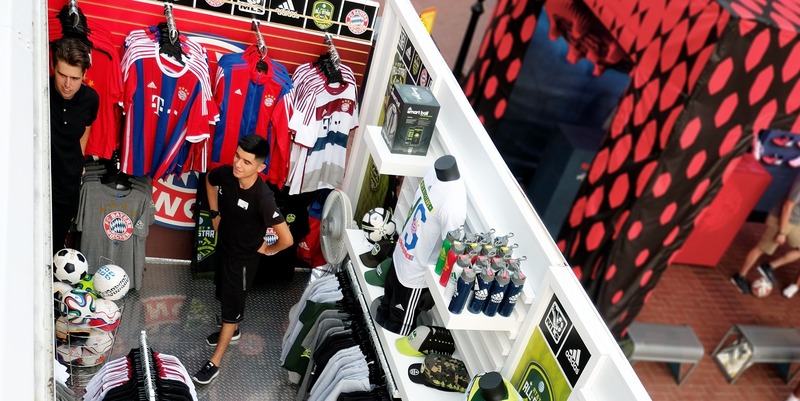 The unit used was a 20’ container, and included a mezzanine level with stairs and 360° of branding. 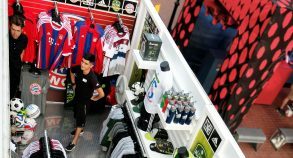 The interior space featured a POP/cash wrap with storage, a 47” Flat Panel LED TV, two extended walls adding additional merchandising space, and a custom 20’ rolling wall that also featured additional merchant area with custom fixtures. 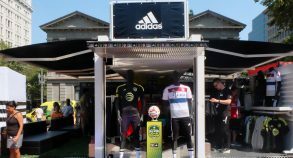 A 20’ turf surface was added to the flooring of the unit in order for customers to test the latest shoes from Adidas.